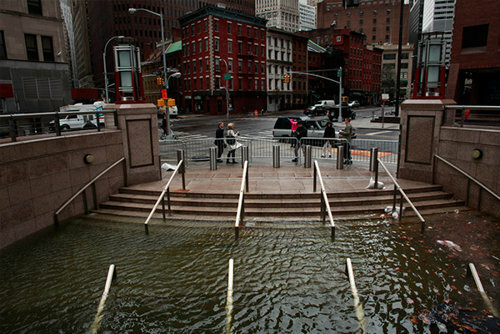 Hurricane Sandy blew into New York City on Monday, October 29th, 2012. The local meteorologists had been warning us for days that a "Frankenstorm" was on its way - a once in a lifetime super storm that was destined to go down in history. Like many other cynical New Yorkers, I didn't believe the hype. 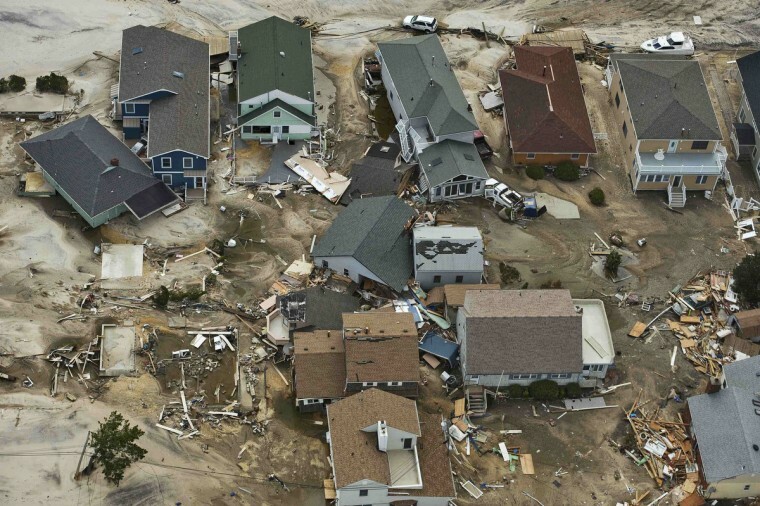 Hurricane Irene hit the city last year amid similar fanfare and little damage was done. I decided that I wasn't going to get too riled up about this Hurricane Sandy. I did go out and buy a few supplies - some bottled water, some canned goods, and I gathered up the dozens of candles that are scattered throughout my home, just in case. I never anticipated the enormous monstrosity that blew through my city and left a path of devastation throughout the tri-state area. 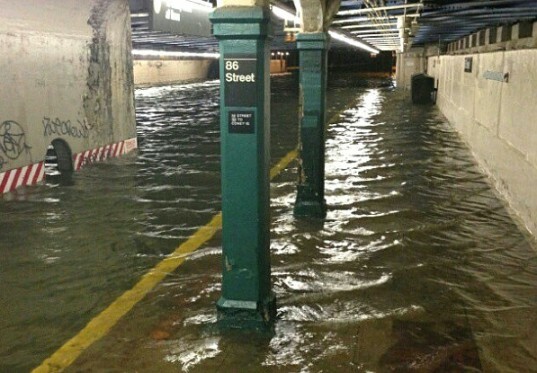 New York City was hit extremely hard. The city that never sleeps actually shut down. Schools were closed, businesses shuttered, and the usual 24 hour subway and bus service was at a standstill for the first time since September 11th. 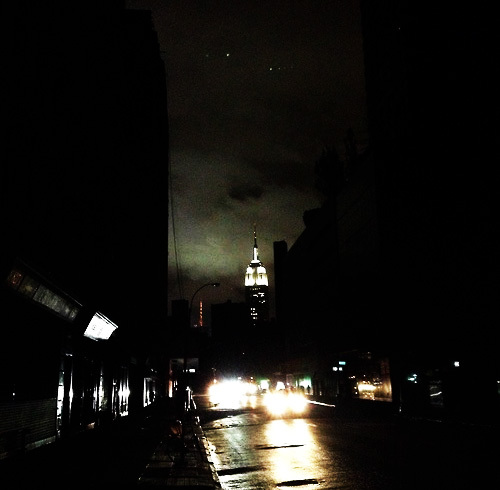 The storm blew in with such intense fury that the power went out across the city, and the bright lights and fast pace which New Yorkers are used to was replaced by darkness, high winds and widespread flooding. 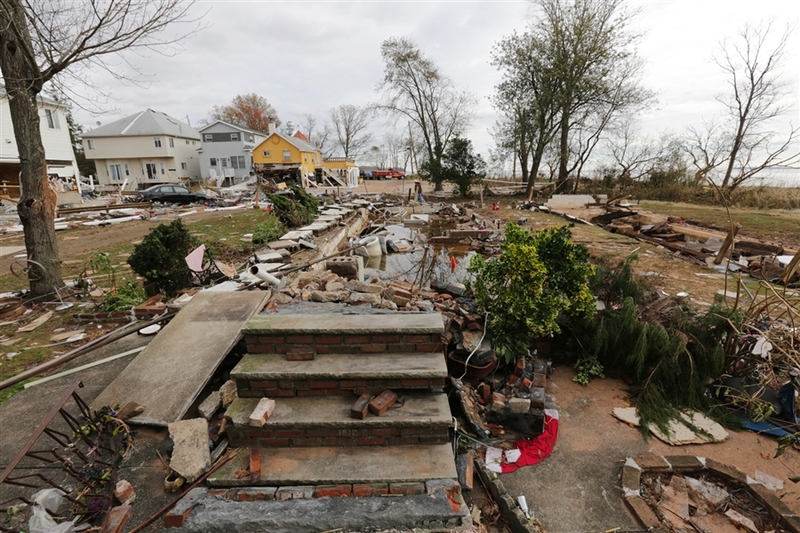 My hometown, Staten Island, NY, was hit exceptionally hard. 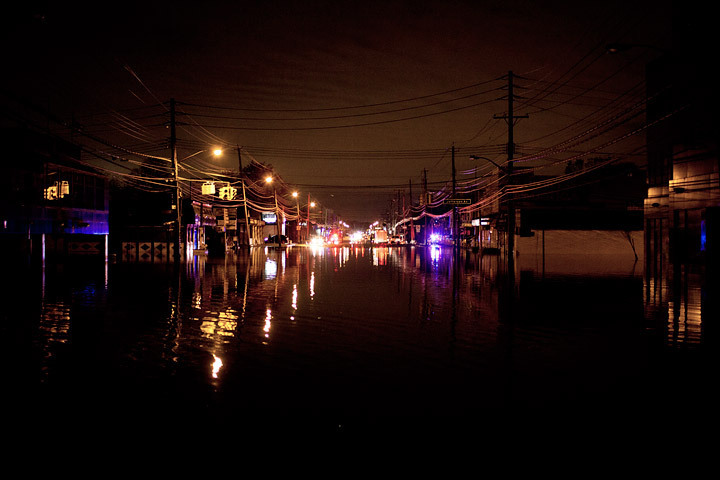 On Monday night, as Hurricane Sandy blew through my city and ravaged my borough, my lights went out and my sons and I were plunged into darkness and silence. We were not alone. Across the city, thousands of us lost power and spent the night listening to the wind howling outside and the rain falling. As I lay in my bed that night, I couldn't help thinking of all of the homeless people with nowhere to go who might be facing this powerful hurricane with no shelter. I thanked God for my home, for my children and I being safe and sound and I prayed that He would watch over us through the storm. 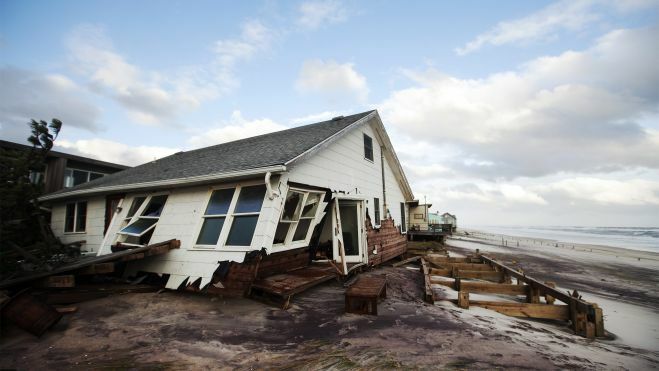 When I awoke the next morning, I stepped outside of my house and was amazed by the mess and mayhem that Hurricane Sandy had left in her wake. When my sons awoke, we talked about how long it might take before our power was restored. 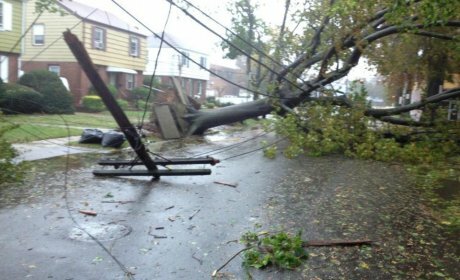 My daughter, her fiance and their baby came by and together we marveled at all of the fallen trees, the dangling wires and the destruction that we saw throughout our borough. We spent the day in my home, eating tuna fish sandwiches and drinking bottled water, playing board games and laughing despite the dire circumstances. We decided that at least we had some extra family time together. Soon, our cell phone batteries were low, and the day began to fade into night. By the time the sun went down, my daughter and her crew left to go home and my sons and I lit candles and settled in for our second night without power. To our relief, my daughter called when she got home and told us that her power had been restored. So my boys and I packed our bags (my youngest referred to us as refugees) and we navigated our way through the darkness to my daughters house about two miles away. We arrived, got settled in, and as soon as we had gotten comfortable her lights went out again! All of our happiness was momentarily deflated. But, we bounced back quickly. At least we were all together. We lit candles again. We pulled out a deck of cards and played 500 Rummy by candlelight. We told scary stories in the dark. And to our surprise, the lights came back on again! We jumped up and down and hugged one another, laughing and euphoric - so much that we woke up my granddaughter with all of our carrying on. We plugged in our electronics and pulled out the board games once again. My sons and I prayed that our electricity would be restored as well by the time we got home the next day. My daughter's cable TV was still not restored, but we had music! My family and I stayed up until the wee hours of the morning, singing and playing games, laughing and talking. When we awoke on Wednesday, we faced a whole new challenge. 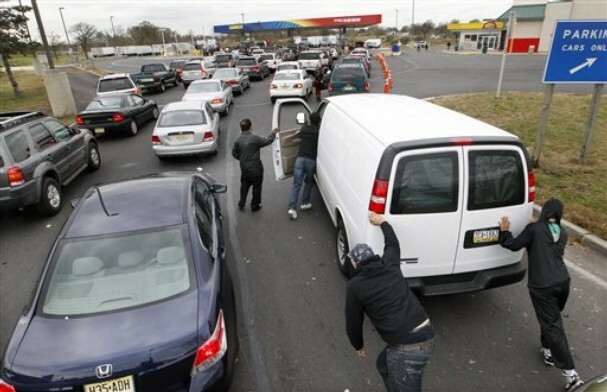 Gas stations were closed across the city. A handful opened up and long lines snaked around for blocks! 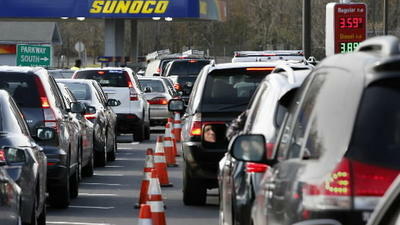 People ran out of what little gas they had while they waited on long lines for hours. People pushed their cars to the pump. Others walked to the pump with gas canisters in hand. Fights ensued when people tried to cut in front of others. Curse words flew as people waited for hours only to find that all of the gas was gone by the time it was their turn to fuel up. We managed to get some gas after waiting on line for close to two hours. We filled the time by talking about the good old days, snacking and listening to the radio. Banks were closed, supermarkets were shut down, restaurants were powerless, street lights weren't working, traffic lights were broken. It felt like we were living in a war zone. Once we had gotten some gas, we headed to my place to check on things. To my dismay, I still had no power. So I grabbed some more board games and another change of clothes and headed back to my daughter's house for another night. We had a blast. We ordered pizza and watched movies. 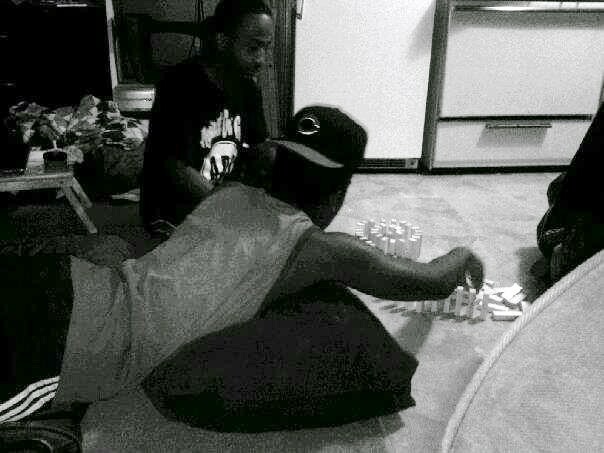 We played Monopoly, Clue, Sorry, Scattegories, Jenga, and Taboo. 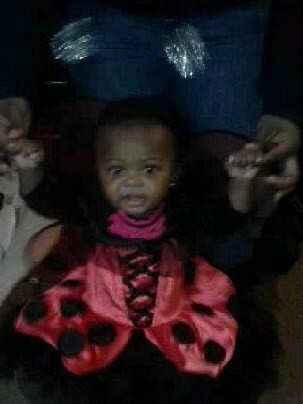 We dressed my granddaughter up in her Halloween costume and took pictures of her. There were no trick-or-treaters ringing the doorbell, but it didn't stop us from allowing little Madison to enjoy her first Halloween as a ladybug. Again, we stayed up late sipping hot chocolate and enjoying one another's company, until we fell asleep on the couch and in sleeping bags on the floor. I noticed that it was the first time in a long time that we were all in the same space for such a long period of time. Like most families, normally there are one or two of us in the kitchen, one or two of us in the living room playing a video game, and at least one of us isolated in a bedroom watching TV. The absence of electronics forced us to use the good old fashioned art of conversation and it was wonderful! It felt like we were stranded on a deserted island with none of the perks we usually enjoy. The blessing, though, was that we were stranded on that island with the ones we love. How great is that? I thought about the old days before technology gave us reasons to zone out and tune out our families' voices - before iPods, iPads, cell phones, video games, DVDs and 1000+ cable TV channels. It dawned on me that what is so lacking in our families today is that quality family time that we were forced into for so many days. By Thursday night, thankfully, my power was back on. My boys and I headed home, cleaned all of spoiled food out of my fridge, did laundry and settled back in, relieved to be home! I turned on the news and caught up on all that I had missed during the days that I was disconnected from life outside of my family. 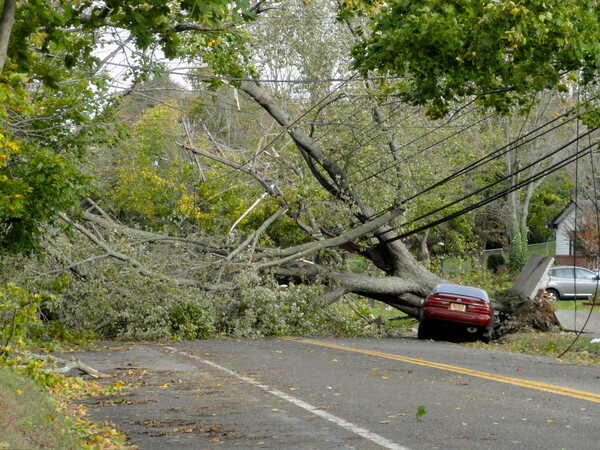 I was amazed by the mayhem and destruction that I saw unfolding across New York and New Jersey. As I watched the news stories, and saw even more of the disaster than what I had witnessed with my own two eyes, I realized how blessed I am. Sure, I had lost electricity and had to flee to my daughter's place. But at least we still had our homes. At least we were all alive and well. Thank God we had money and food and each other's company to fill the time. The situation had actually forced us to spend more time together than we normally do. I have spent the last twenty four hours trying to put this past week into perspective. 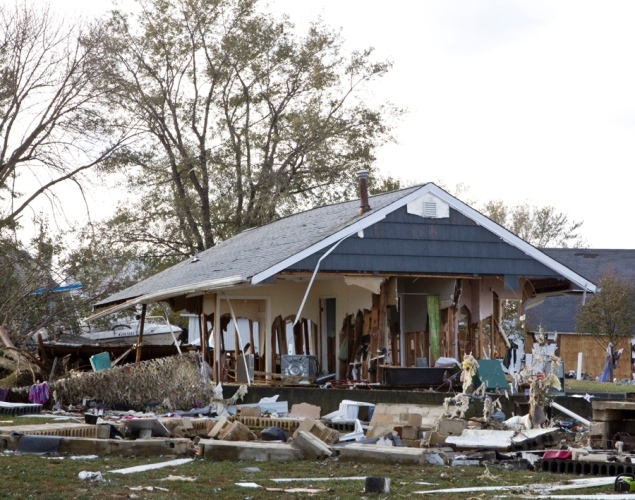 The storm tragically destroyed many homes, wreaked havoc on many lives. For those of us who were spared, it's given us a great opportunity to put things in perspective. Sometimes we have to go through a storm in order to take inventory and see what's truly important. Once we strip away all the luxuries of life, silence all of the noise, what we're left with is what really matters. I always count my blessings. But in the wake of Hurricane Sandy, I'm counting them even more. I'm more grateful than ever before. Life is full of twists and turns. But it's the people you turn to for shelter in a storm that mean the most. Be sure to appreciate them while you still can. Thanks so much for sharing this, watching on CNN I saw how Staten Islans was hit very bad and you know Staten Island has a soft place in my heart from your books. I also wondered was your house damaged and how you made out of the storm. I'm glad you are safe and I pray your wonderful city overcome this as quickly as possible. I have been in your shoes twice since I've been able to remember 2005 hurricane Katrina and 2008 hurricane Gustav. It will only make the city stronger! I would be foolish to think that luck had anything to do with my family and friends being kept throughout this whole ordeal. If ever there was a time when anyone questioned as to whether a God truly existed I have to imagine their question was answered Monday/Tuesday. That being said, some good did come from this , never have I seen Staten Islanders come together as much as I have seen them do so this past week. People giving so freely of their time, homes, or whatever they could spare. I don't believe the island has ever gotten so much exposure up until now. It could very well be a blessing in disguise for Staten Island.